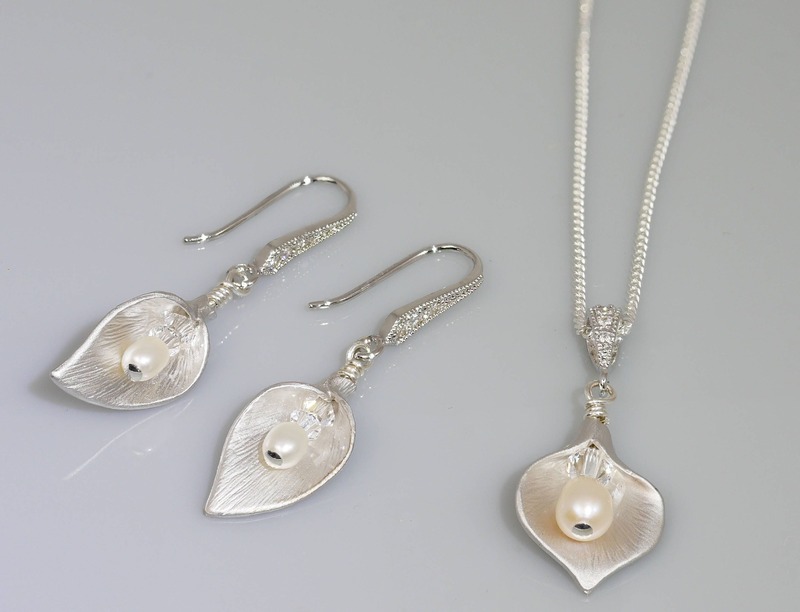 Calla lily earrings and pendant necklace, with freshwater pearls and Swarovski crystal. Finished in rose gold or silver. Extremely popular to give as a bridesmaids gift or for mother of the groom or bride. 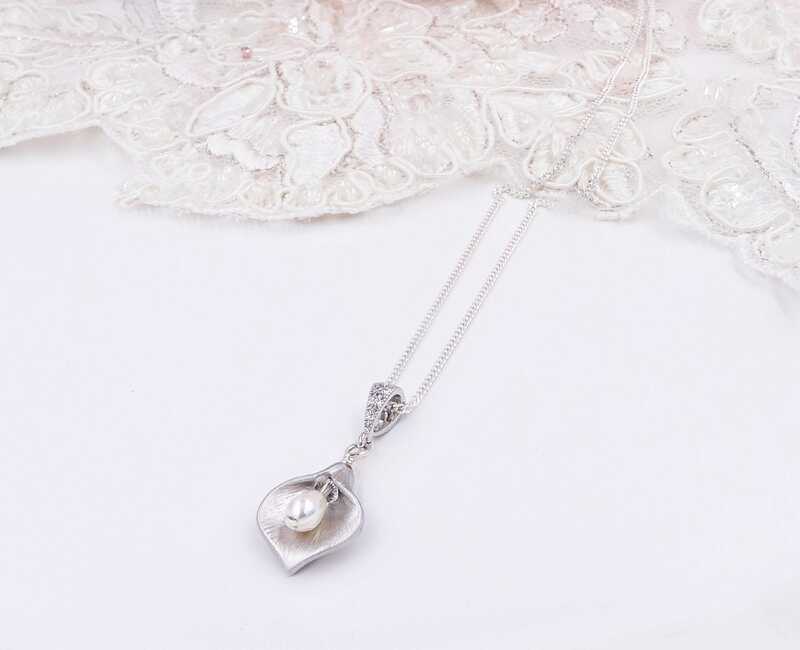 This pendant drop is ideal as a bride pendant and hangs from a cubic zirconia encrusted pendant bail hung on a Sterling silver necklace chain. 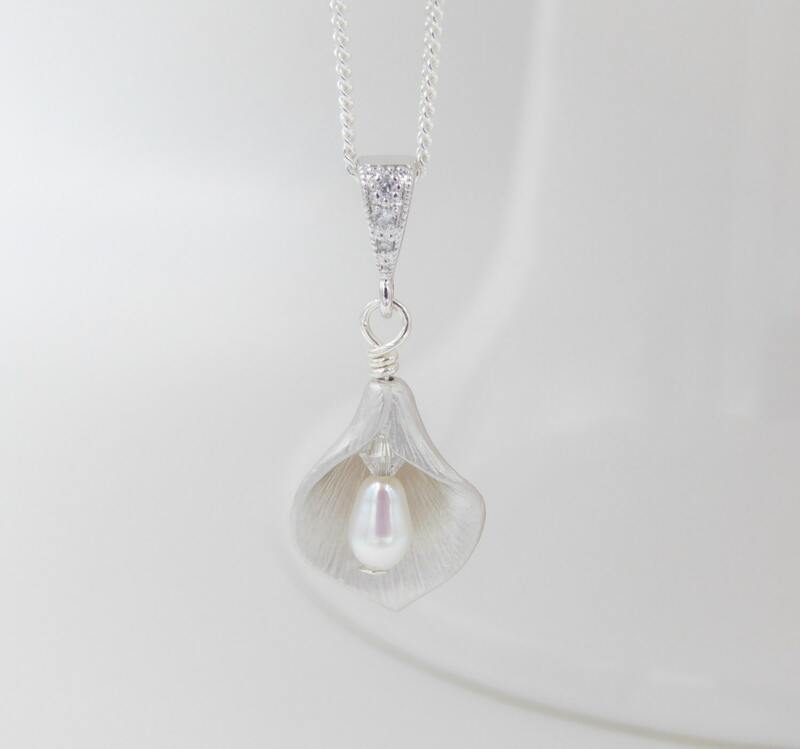 The Swarovski crystal and freshwater pearl stamen sits within the with beautiful silver calla lily bead. 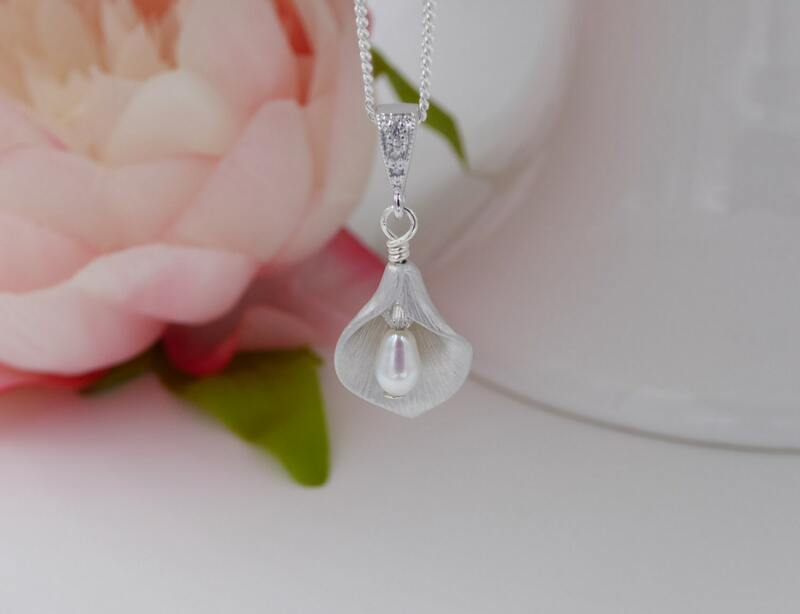 This beautiful calla lily charm necklace has been hand wired with a delicate freshwater pearl and Swarovski Crystal in the centre. 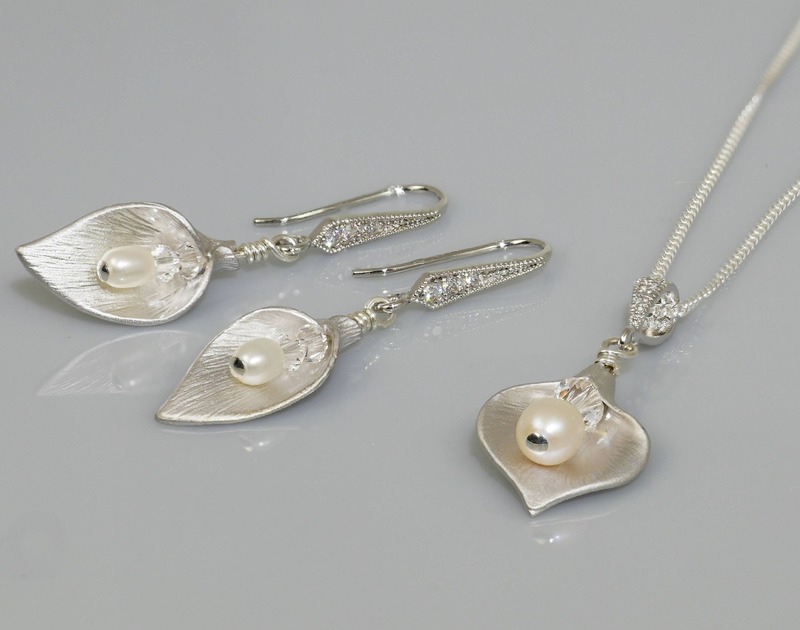 The calla lily hangs from a cubic zirconia encrusted pendant bail.